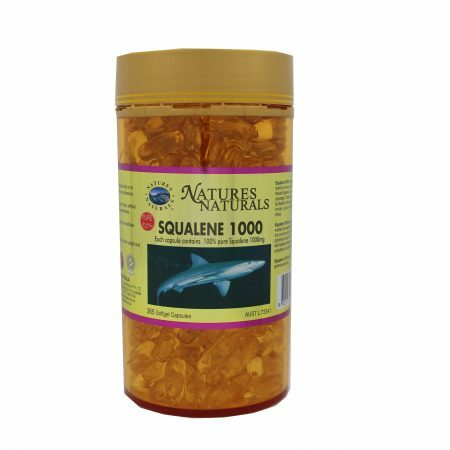 Natures Naturals Squalene 1000mg is extracted from deep blue sea shark liver which contains the richest source of Natural Squalene. 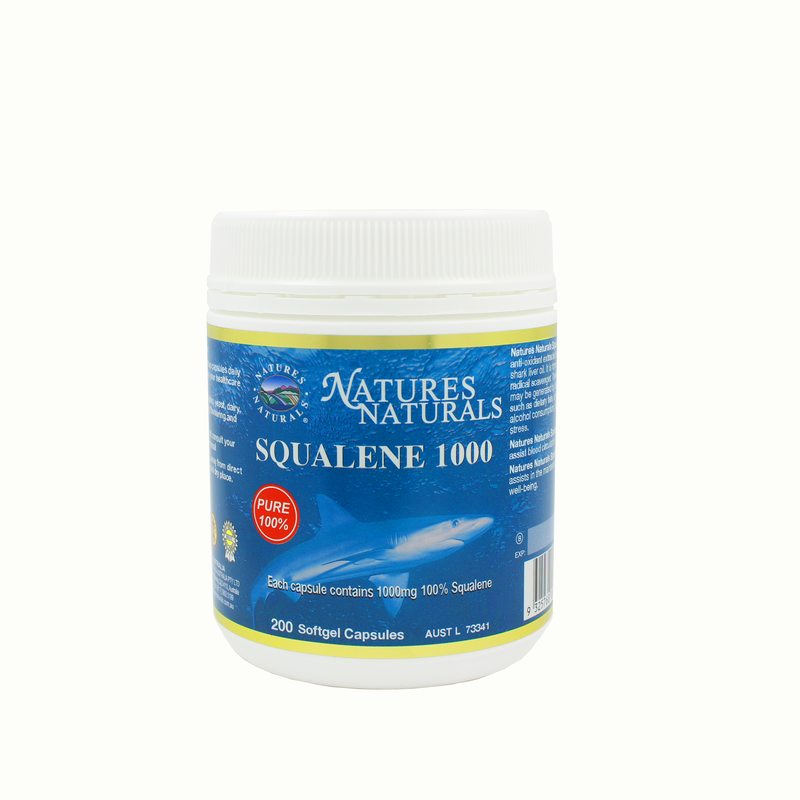 Squalene may assist blood circulation and maintain the health of capillaries. 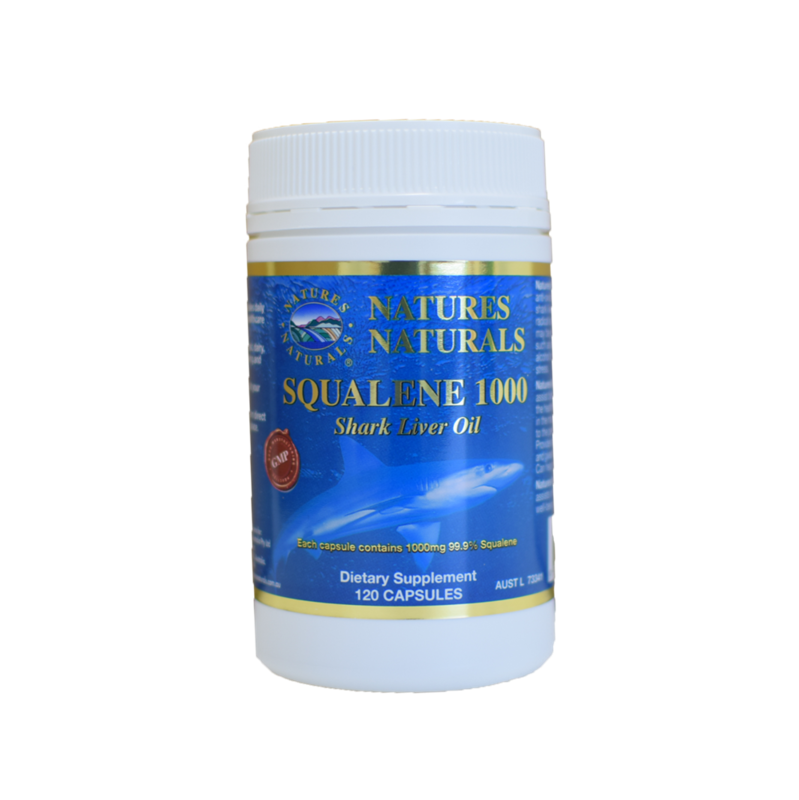 Natures Naturals Squalene is an anti-oxidant extracted from deep blue sea shark liver which contains the richest source of Natural Squalene. It is formulated as a free radical scavenger. 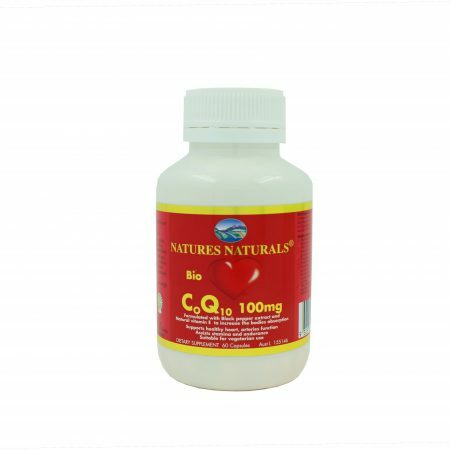 These free radicals may be generated by lifestyle factors such as dietary fats, cigarette smoke, alcohol consumption, pollutants, and stress. Squalene may assist blood circulation and maintain the health of capillaries. 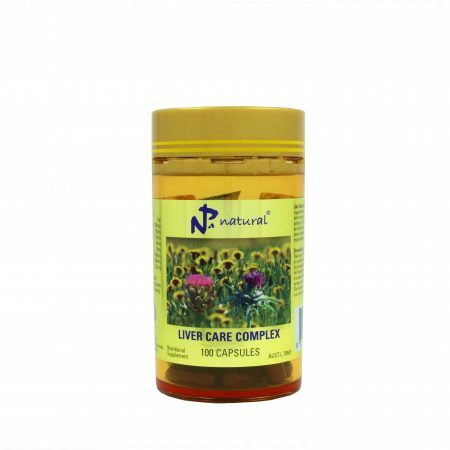 Aids or assists in the maintenance of blood circulation to the peripheral areas of the body. 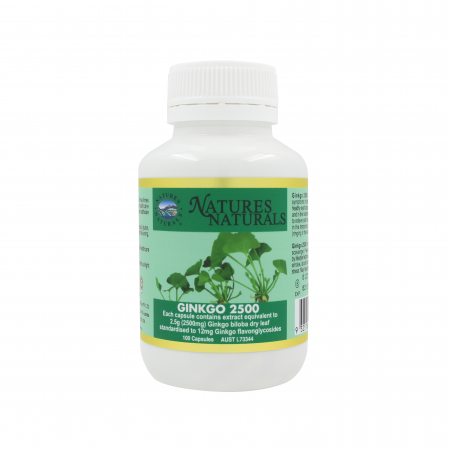 Provides the skin with nutrients it needs and gives it a more beautiful complexion. 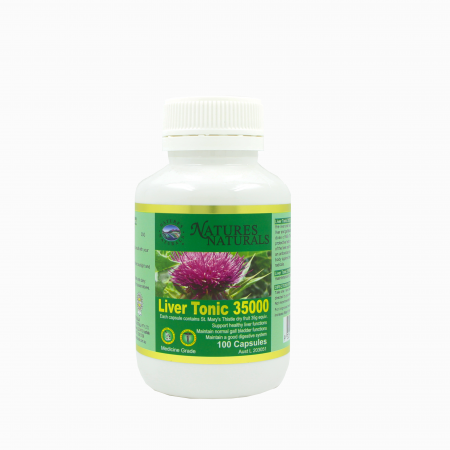 Can help to restore good health. Adults take one to two capsules daily or as prescribed by your healthcare professional. Free from sugar, gluten, yeast, dairy, artificial coloring, flavoring, and preservatives. Always read Label. Use only directed. $54.99 AUD $37.95 AUD Sale! $34.99 AUD $25.99 AUD Sale!